Hey guys, Want your drinks to have a Batman Symbol in them? 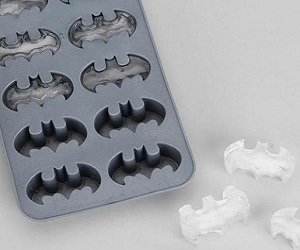 Then take a look at this Batman Ice Cube maker, you can find it on Awesomeinventions.com and we have got to say that these are a great idea! Now My Cola can be extra cool With The Dark Knight Ice Cubes!